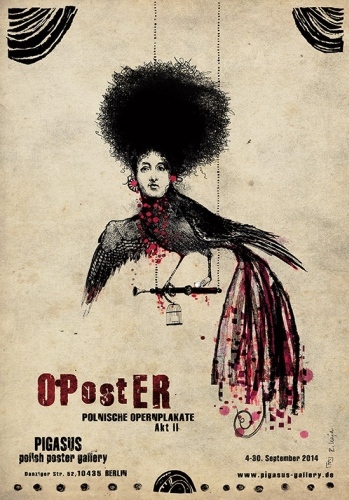 Some of our opera posters have been shown at individual artist's exhibitions (e.g. by Ryszard Kaja or Wieslaw Walkuski). Opera as such, however, has been the subject of none of the many shows we have organised so far. We consider it a disgrace! Having in mind Jan Lenica's principle that „A poster must sing!“, we would like to prove that these are the opera posters which sing most beautifully. Because their number and diversity are large, we have divided the show into three acts.